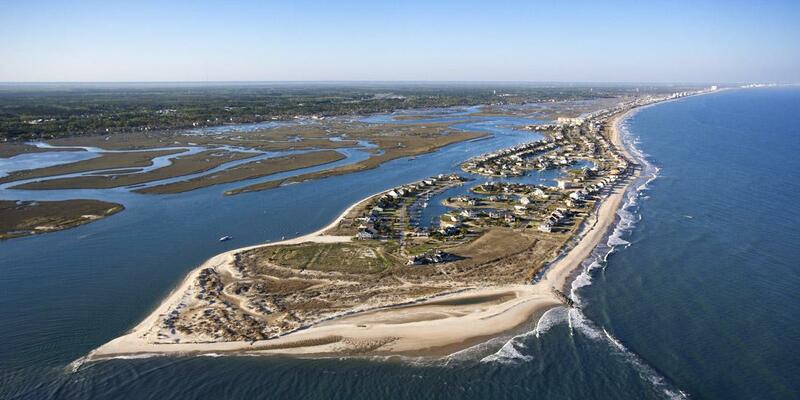 What would you recommend to anglers fishing in Murrells Inlet, South Carolina? Listen to the captain's recommendations first. They know what is currently biting. Then tell the captain exactly what you would like to catch. A good captain will let you know the score and try to satisfy the customer if at all possible. Go with no expectations and let captain Jim take you on the trip he thinks is right for you and your family. He will give you options that work best for your group. Awesome trip. Messer racing family. Appropriate for children old enough to enjoy a day of fishing. Would not recommend for younger children. Thoroughly enjoyed the entire experience. Thank you Captain Dan for a great day. Her smile speaks volumes. Fishing followed a big storm & then a cold front behind it with 15 mph wind & 27 mph gust. Water temperature dropped to 59 degrees F. Temperature was at best 59 degrees F. I did not have a good feeling about fishing considering what the conditions were expected to be, but I remained optimistic about catching some fish after having attempted to surf fish in the harsh wind conditions the day before. Couldn't keep a 6 oz. pyramid sinker from coming back to shore. This is not normal conditions for April so I hope to try it again here April 2019. We actually did not fish out of Murrells Inlet--we were in Pawley's Island. Dec is not an ideal time to go on a fishing excursion, but our time in SC was not flexible. It was VERY COLD and VERY WINDY, but we were prepared for the weather knowing it was going to be as such! Capt. Dan did a good job trying to place us out of the wind, but it impacted where we could fish and the how many lines we could have out at once due to the current. Overall a good experience....we caught 7 fish on a 4 hr trip: red fish, black drum, and flounder. This was a great experience just do not go in April. Great captain, good boat, good gear. April is just not the time to go. Later or warmer months are much better in terms of fish being active and biting. Fishing was bad but fun day on the water. Contact the captains to see what the best target species are at the particular time of year you plan to be fishing or plan your trip based on the best time of year to pursue your favorite catch! They are always willing to help and want you to have the best possible experience. Get the patch so you don't get sea sick and have it ruin your trip. It helped me some, but I and two others still got sick. I was not as sick as the previous trip without the patch so I guess it did help. Book Mike Eady. 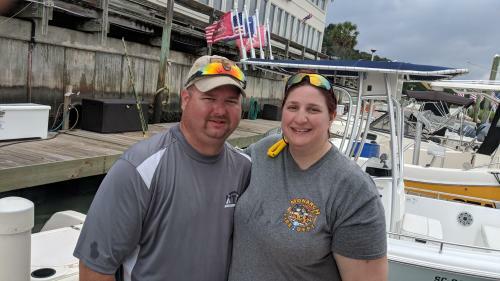 Murrell's inlet is a heavily pressured area, but Mike knows how to overcome that by boat positioning, using his electronics, and taking all environmental factors into consideration so as to know where to fish. Support the locals. Charters Dining (many excellent choices) Fish mongers (we like Harrelson's) Have fun! The weather plays a big part in any fishing trip. Crazy Girl Charters is a great trip for first timers. Fishing in the creeks etc. Is easy when the ocean is rough. Get a Capt. That knows where to go ..and can get you to a couple spots if one is light on fish. Book the right amount of time to get where you want and fish...4 hrs might limit some options. Just go it all depends on the weather. There are plenty fish you just have to have the luck of a clear warm day and low waves and winds. We weren't able to go to the ocean because of waves, etc. we were limited to the marsh area. Luckily it was a beautiful day. I would recommend they not use fishing bookers and that they have a place for the customer to come in and be able to search out what captain they would like to fish with. Consider the size of boat and how far out they need to go to get the fish you want. Ask about how the boat is equipped for your safety and comfort. You can fish the surf, the bay or even the river. Fishbooker can help find a charter Capt or the local tackle shops can help set up you up. Be prepared for a variety of fish and listen carefully to the fishing advice and knowledge of the Captain and Mate. Go expecting to have fun and remember that it's called fishing not catching. You may fill the cooler, you may just get a sunburn and a good story. Be patient, do not drink heavily the night before, have plain crackers and plenty of water, Coke or ginger ale, on hand and just relax and have a good time. I would highly recommend fishing at Murrells Inlet to anyone interested in a great day on the water. Get with the captain before the trip. Make sure everyone is on the same page. Don't go off the weather channel, check the radar and wave report.